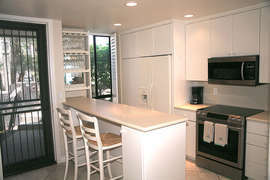 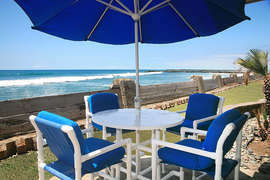 Come experience a stay in Beachfront Bliss D19 a ground level 2-bedroom beachfront cottage located in North Coast Village. 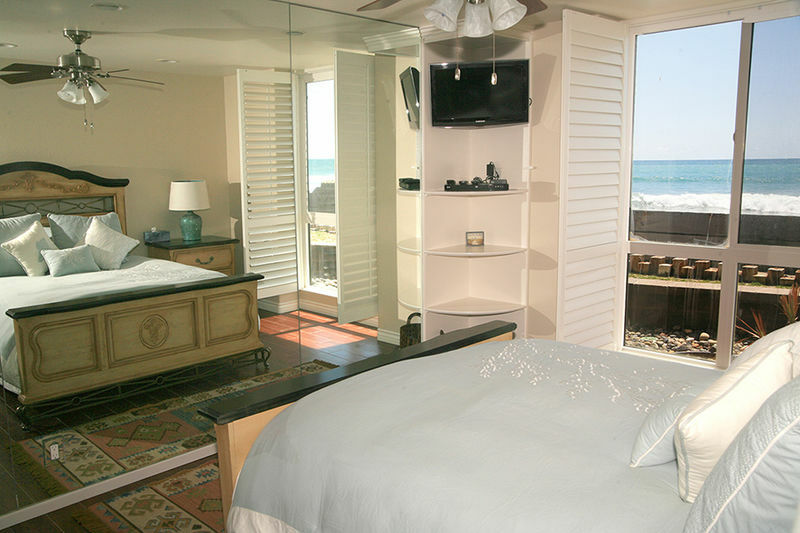 Beachfront Bliss is a luxury class condo that boasts a first class view and interior. 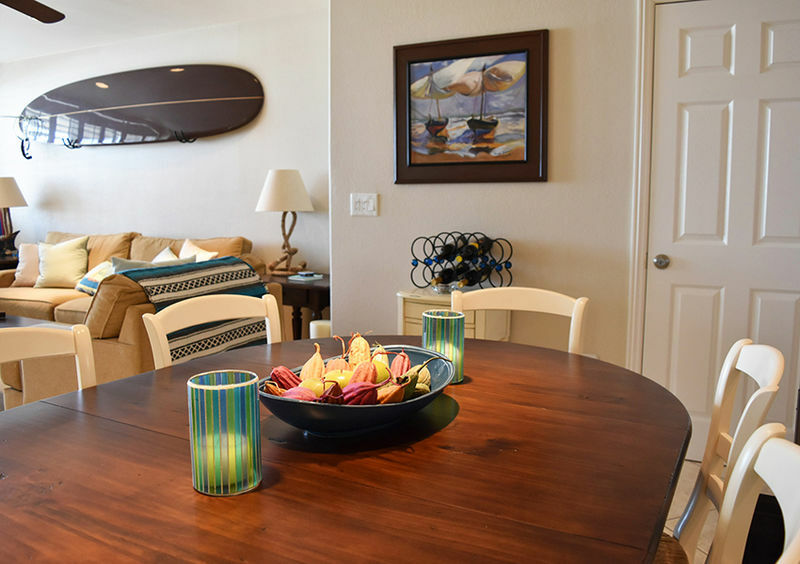 The owners have spared no expense in creating a beautiful beach themed condo with all the extras that make your stay truly memorable, from cedar built-in closets to DVR, movie channels and more this condo has it all. 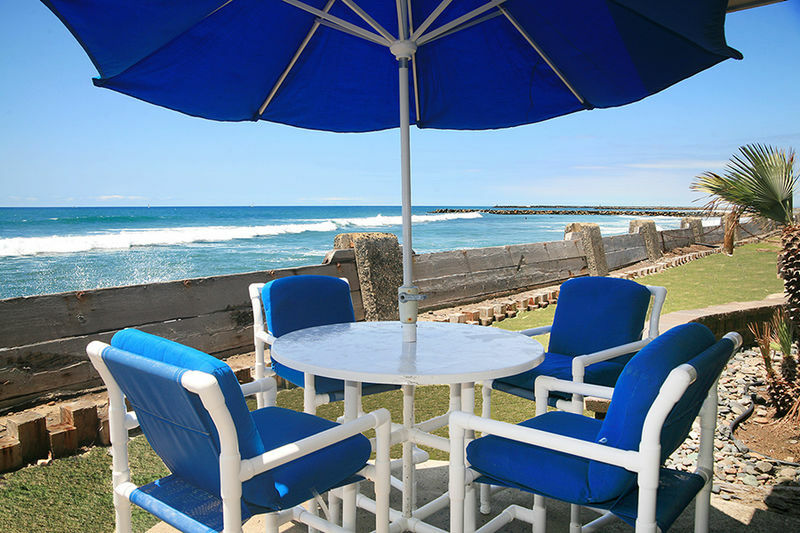 Relax and enjoy panoramic unobstructed ocean views from the master bedroom, kitchen, living room, or on the back porch while lounging back and reading a book in the comfortable patio furniture. 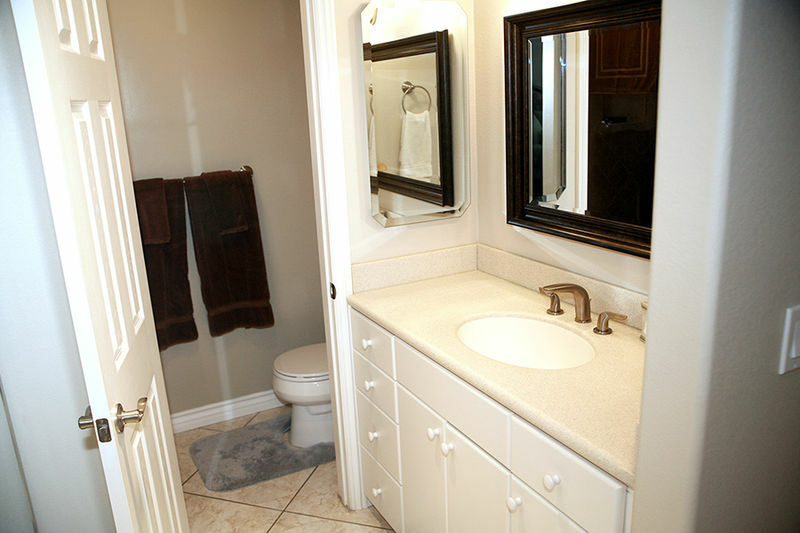 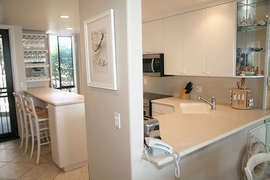 D19 has recently had a complete remodel including the kitchen, flooring, bathrooms, and bedrooms. A second parking space is available upon request. The condo is fully furnished with more than enough seating and sleeping to comfortably house 6. 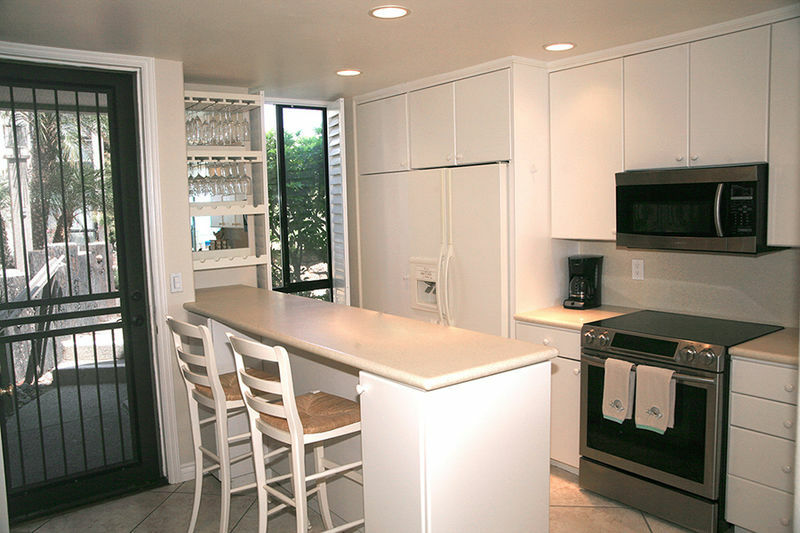 After the remodel, the kitchen now sports the popular open concept design with brand new top of the line appliances, Corian countertops, and ample cabinet space. 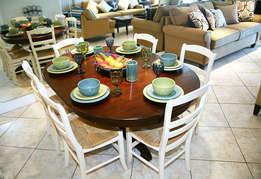 The dining room table seats 6 with additional places at the bar as well. 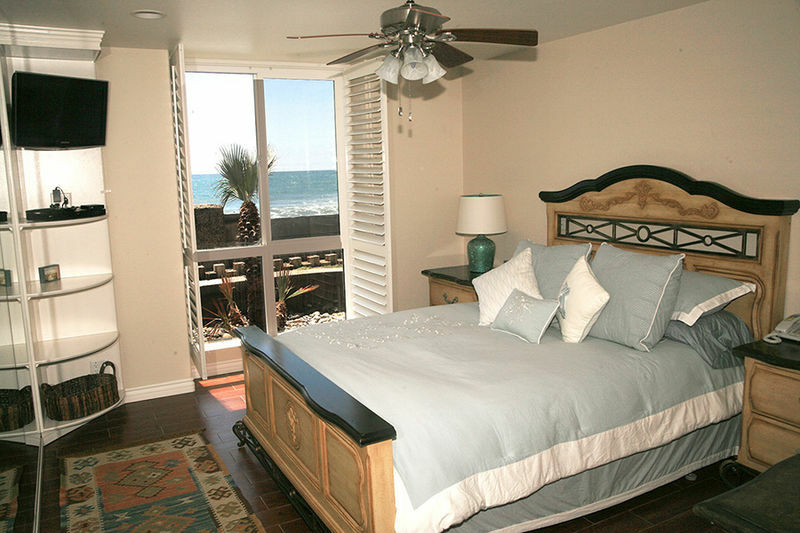 The condo has plantation shutters throughout to allow you the privacy you deserve while on vacation and if you want to enjoy a dark afternoon nap after a morning in the waves go right ahead! 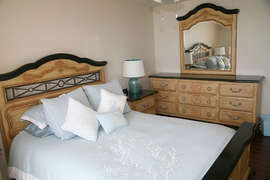 The master bedroom has a beautiful queen size bed with matching night stands and dresser. The master bedroom closets have been lined with cedar and have custom storage areas for your convenience. Both bathrooms have been remodeled. 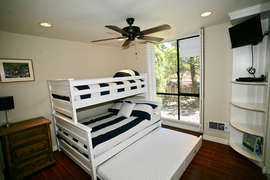 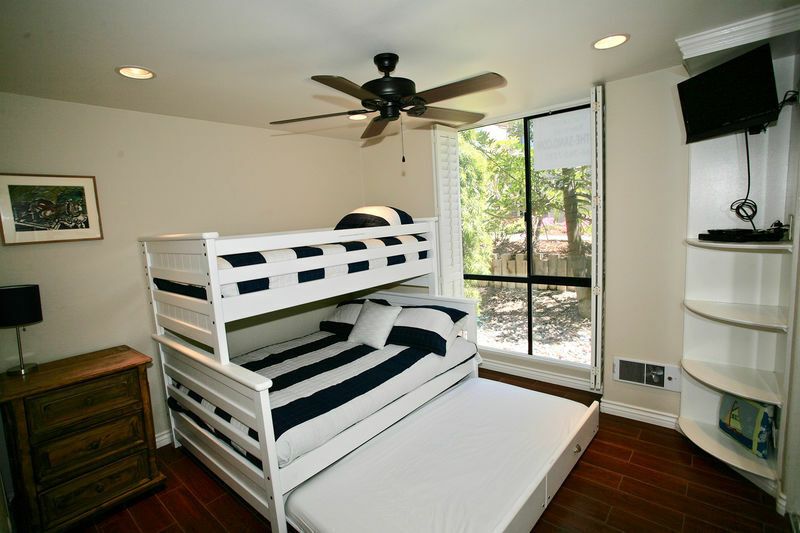 The second bedroom has trundle bunk bed (2 Twins/Queen)and the final 2 sleeping spots are found in a sofa sleeper in the living room. 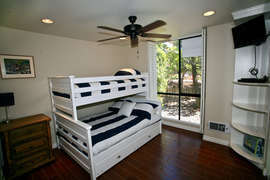 Both bedrooms have mounted flat screen TVs, cable, and DVD players. 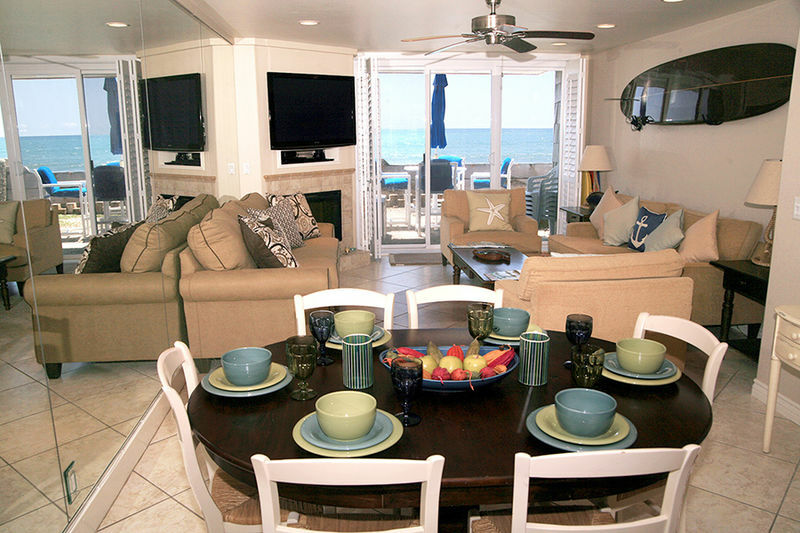 The living room has ample seating locations with two sofas and 2 chairs. In addition to cable and a DVD player the living room TV has also been equipped with DVR and added movie channels for your enjoyment. 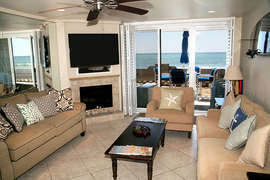 The condo has an elegant glass fireplace which can be used to create a beautiful ambiance on the occasional chilly day. The condo is also stocked with all the needed beach equipment - boogie boards, beach towels, beach chairs, umbrella, and sand toys. 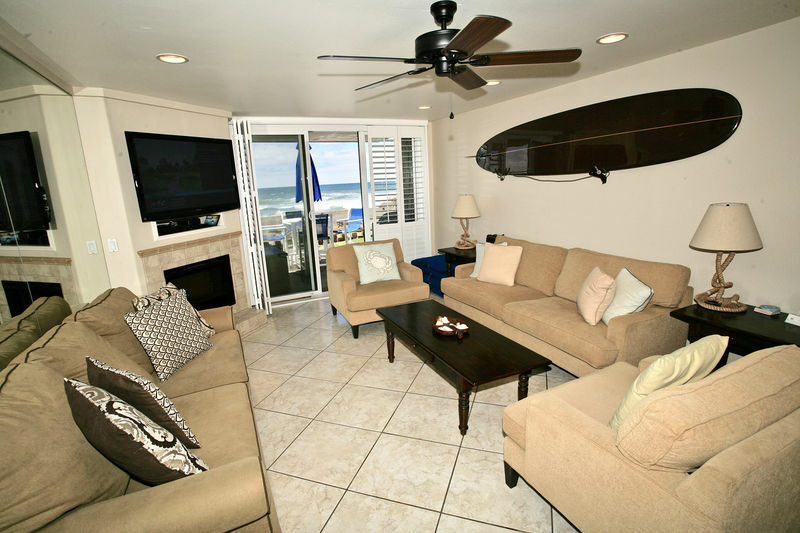 *Please note the surf board on the wall in the living room is for decorative purposes only. 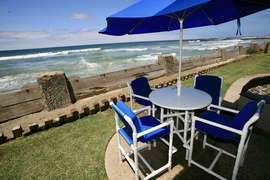 The complex grounds are groomed to perfection and boast a very tropical lush feel! You will love taking a stroll within the gated grounds and exploring the little streams, koi ponds, fountains, and hidden alcoves. The complex is also equipped with two swimming pools, two hot tubs, two commercial grilling stations, game room, weight and cardio room, and several laundry facilities. North Coast Village is truly a one stop location for an unforgettable vacation.